with the latest achievements in medical science. The members of the Scientific Council are some of the most recognized experts in the field of natural medicine and academic research, healthy lifestyle enthusiasts and people who decided to share their extensive knowledge with others. They work together for a common goal – creating dietary supplements which combine the purest components and wisdom of nature with the latest achievements in medical science. Biologist, educator and journalist, the author of many publications and films concerning his scope of study. The author of the research on phytoremediation and „Eureka 2003” prize winner. He has been the co-founder and the Chair of the Scientific Council of the Institute of Preventive Medicine and the Chair of the DuoLife Scientific Council. He says that his life mission is to spread knowledge about healthy and responsible way of life and stimulating the will to make conscious choices. 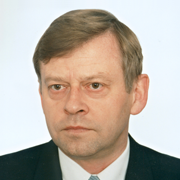 Head of the Biotechnology and Food Chemistry Department of Ternopil National Ivan Puluj Technical University. 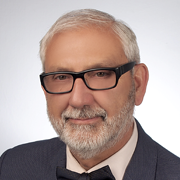 The Chairman of the Polish Association of Hospital Directors, from 2005 to 2010 also a member of the Board of the prestigious International Forum Gastein – the biggest forum of medical NGOs in Europe. The expert in the field of clinical pharmacology and the Internal Medicine Doctor at the Faculty of Medicine of the Medical University of Silesia in Katowice. Jagiellonian University Collegium Medicum Anaesthesiology and Intensive Care Department Associate Professor. The lecturer in Jagiellonian University Medical Department. The Head of Pharmacognosy and Phytochemistry Department in the Medical University of Silesia, a pharmacist, the specialist in pharmacology. A physician, the specialist in internal medicine, sports medicine and medical rehabilitation. The Dean of the Department of Health Sciences, Vincent Pol University in Lublin professor. Medical University of Lublin graduate. Professor and Associate Professor of Pharmaceutical Science in the scope of clinical analysis. The winner of the Minister of Education prize for his achievements in his educational and pedagogical work. Professor of the Open International University of Complementary Medicines in Colombo (Sri Lanka). Member of the DuoLife Scientific Council, member of the National Geographic Society. Full Member of the Commonwealth (UK) Institute of Acupuncture and Natural Medicine. Member of the Board of the Phytotherapy Department of the Polish Medical Association. 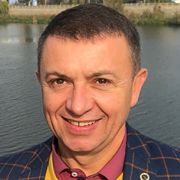 Head of the Food Biotechnology and Chemistry Department of Ternopil National Ivan Puluj Technical University, member of the Council of the Biological Sciences Experts and member of the Ministry of Education and Science Higher Attestation Commission of Ukraine. Author and co-author of over 180 scientific publications. Prof Pokotylo is interested in the issues related to physiology, biochemistry, food hygiene, research on lipid metabolism and the effect of biologically active dietary supplements which are high in Omega-3 acids. Prof Pokotylo is a member of the Board of Experts in the Ministry of Education of Ukraine as far as biological sciences are concerned, and an editorial board member of the "Medical Chemistry" scientific journal. 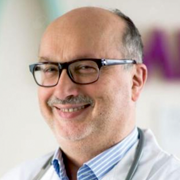 The Chairman of the Polish Association of Hospital Directors, from 2005 to 2010 also a member of the Board of the prestigious International Forum Gastein – the biggest forum of medical NGOs in Europe. The Associate Professor at Andrzej Frycz Modrzewski Kraków University. The laureate of many awards for his national and international achievements. The architect and founder of the first Polish “digital hospital” project; the person behind the idea, long-time director and founder of “Ośrodek Szybkiej Diagnostyki” [“Quick Med Diagnostics Center”], in John Paul 2nd Hospital in Krakow. The Director of John Paul 2nd Hospital in Krakow for almost 20 years. Under his management, a specialist Cardiac Clinic was established within this hospital. The expert in the field of clinical pharmacology and the Internal Medicine Doctor at the Faculty of Medicine of the Medical University of Silesia in Katowice. 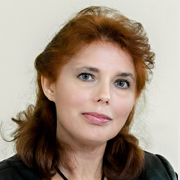 She gained her impressive experience while working for many years as a clinical trials specialist, Clinical Trials Coordinator and the Medical Director of the biggest Polish and international pharmaceutical concerns. The member of numerous Scientific Societies, including Polish Pharmaceutical Society (PTF), the Polish Society of Internal Medicine (TIP), Polish Association for Monitored Therapy and the Polish Association for Good Clinical Practice (GCPL). Furthermore, for many years, she had conducted training courses for medical specialists. Jagiellonian University Collegium Medicum Anaesthesiology and Intensive Care Department Associate Professor. The lecturer in Jagiellonian University Medical Department. The specialist in the following fields: general surgery, orthopaedics, trauma surgery, and emergency medicine. The author of 4 medical course books and more than 300 scientific journals articles. 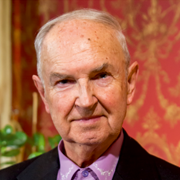 He is a member of the most prestigious scientific societies in Poland and in the world. He is also the Expert in Foresight 2020 Research Programme of the National Research and Development Centre, and in the Research Programme of the European Union and the Ministry of Science and Higher Education – Innovative Economy. The Head of Pharmacognosy and Phytochemistry Department in the Medical University of Silesia, a pharmacist, the specialist in pharmacology. Expert in biochemical and molecular mechanisms of the effect of drugs and substances of natural origin, including these of plant origin. She carries out research, gives lectures, and provides courses on phytopharmacology and herbal medicine. The Chair of Polish Pharmacological Society, Silesian Branch. She was recognized for her scientific achievements with many awards, including Minister of Health and Social Care Award. The author of more than 60 scientific articles published in international journals and 231 convention reports. A physician, the specialist in internal medicine, sports medicine and medical rehabilitation. The Dean of the Department of Health Sciences, Vincent Pol University in Lublin professor. The member of the Executive Board and a former scientific secretary at Polish Society of Sports Medicine. He used to co-operate with judo, basketball, volleyball, table tennis national and Olympic teams. The former member of the medical board of the Polish Paralympic Committee and the medical board of the Polish Football Association. He received two awards of the Minister of Health for his outstanding organizational achievements in health care in Poland. 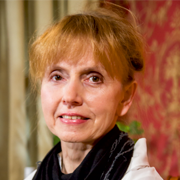 The co-founder and member of the Scientific Council of the Polish Health Academy. Medical University of Lublin graduate. Professor and Associate Professor of Pharmaceutical Science in the scope of clinical analysis. 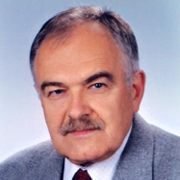 The Head of the Faculty and Department of Laboratory Diagnosis in Medical University of Lublin, a clinical biochemist, Professor in Medical University of Lublin and University of Informational Technology and management in Rzeszów. The expert of Polish Accreditation Committee, the member of the National Examination Board in the scope of laboratory diagnosis. The Chair of the Clinical Biochemistry Group of the Laboratory Medicine College in Poland. He was recognized with many awards and distinctions (including the scientific award from the Minister of Health, Gold Cross of Merit, Medal of the National Education Commission). We have been joined by passion, enthusiasm and our common goal.